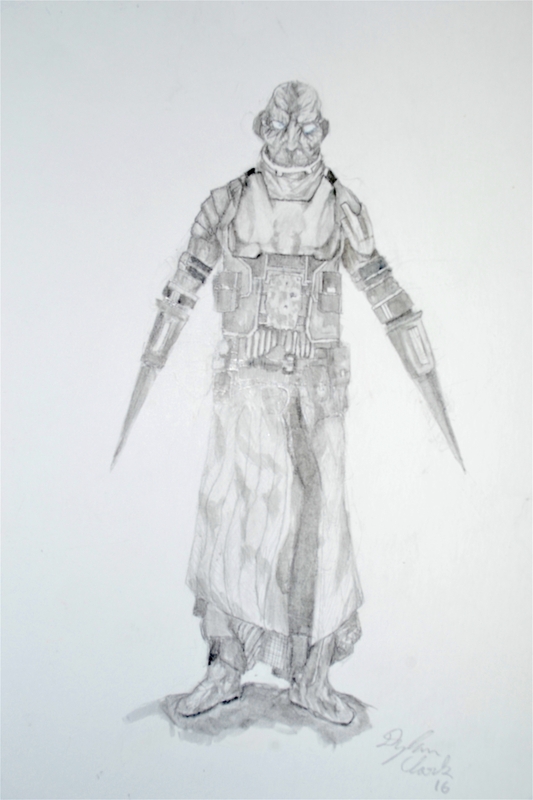 The idea for this drawing was an alien bounty hunter mixing traditional garments from his village with tactical gear and armor. This drawing was done in graphite and water-based markers and took around half a day to complete. 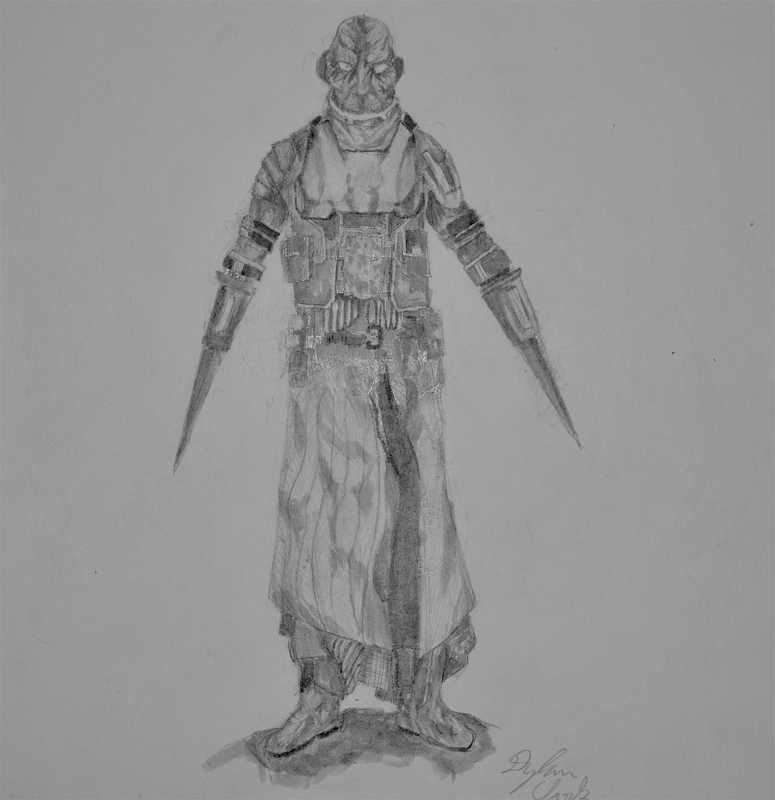 The photographic image was not of the quality that I had hoped for, but I hope it will be sufficient.